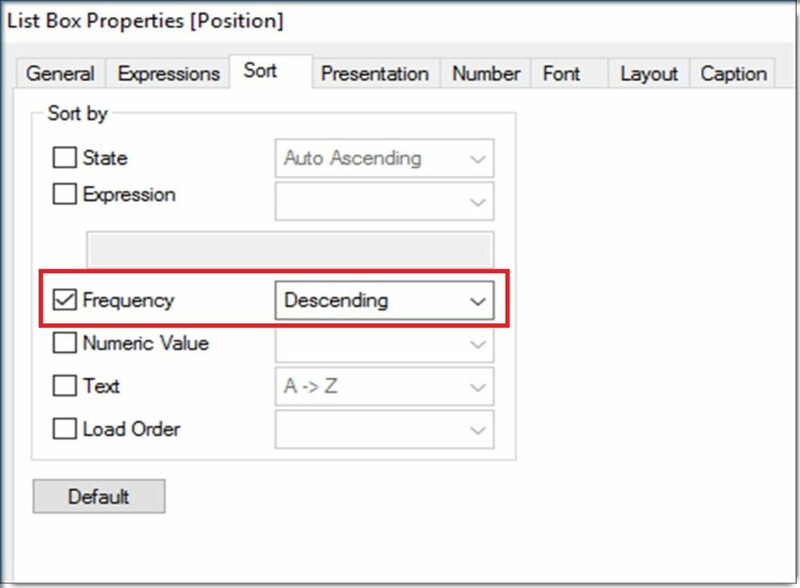 This post demonstrates how to use the Qlikview List Box Show Frequency property setting. 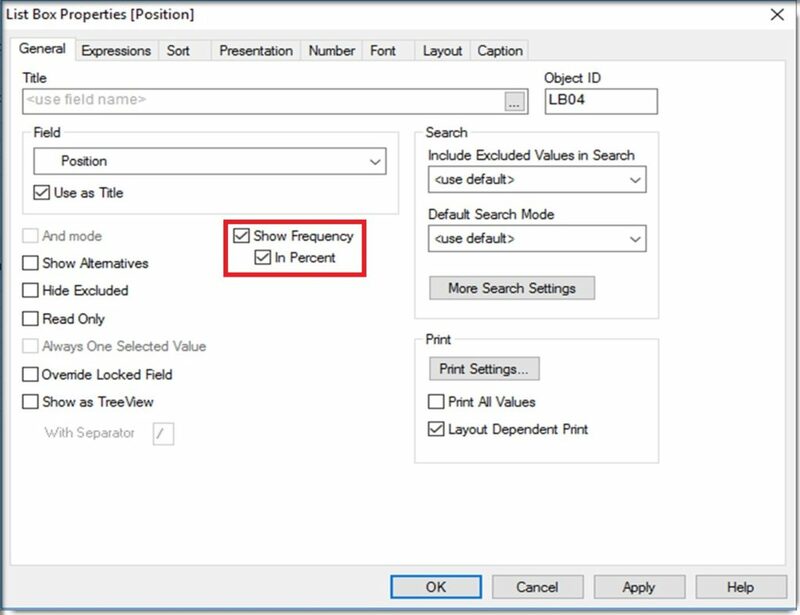 The Show Frequency property setting allows you to display the frequency that a List Box value appears in a specific field. This is very useful setting that provides a lot of information to the user, without having to create a chart to display the count for a given field. 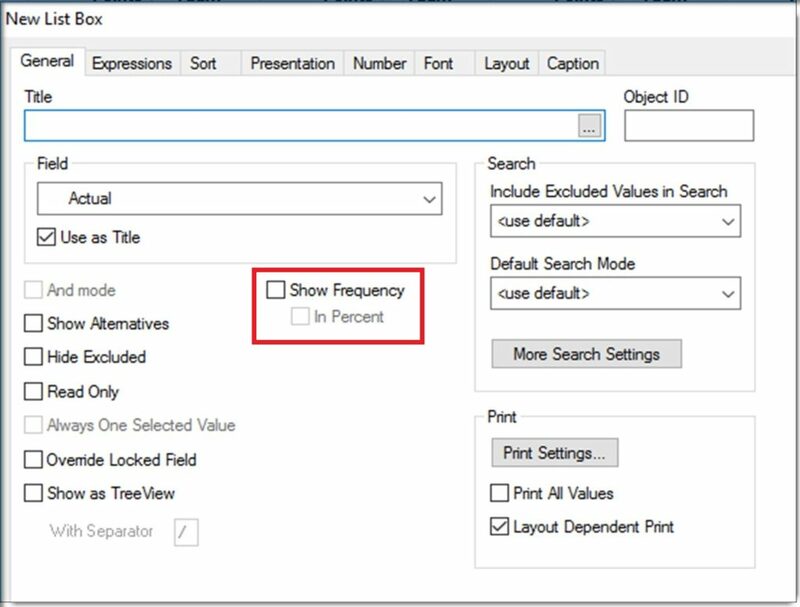 The Show Frequency setting can also be displayed as a percentage of total. I will show you a couple examples below. 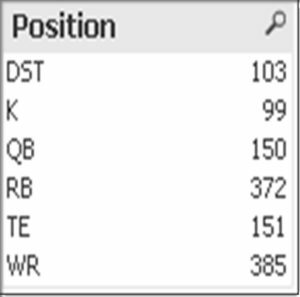 From Qlikview Help: The Show Frequency List Box property setting toggles the status for whether the frequency of a field value is shown or not. By frequency is meant the number of selectable combinations in which the value occurs. This option is not available for calculated fields. In Percent: Toggles the status for whether the frequency should be shown in absolute numbers or as percentages of the total number of entries. Next, go into the properties of the List Box, then select the “General” tab. Here you will see a setting called “Show Frequency”. Go ahead and check the box, then click OK to save your updates. 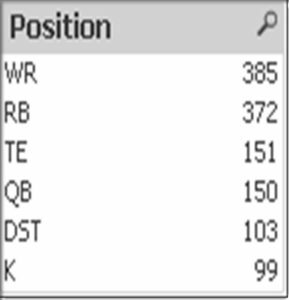 In the image above, the number of selectable combinations in which each unique value of the field “Position” is now displayed on the right margin of the List Box. Go back into the List Box property window, then select “General” tab once again. This time, also check the box for “In Percent”, then click OK to save your updates. 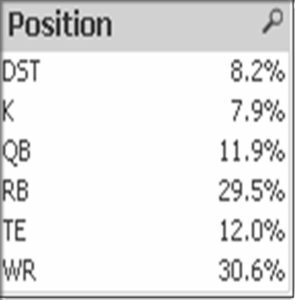 This time, the percentage of the total number of entries which each unique value of the field “Position” is now displayed on the right margin of the List Box. Next, go back into the List Box property window, but this time select the “Sort” tab. Check the box for Sort by “Frequency”, then click OK to save your updates. 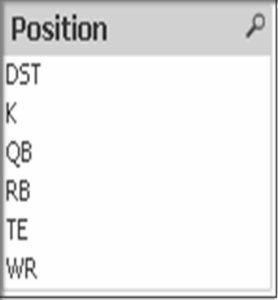 By changing the sort property to sort by frequency, the number of selectable combinations in which each unique value of the field “Position” is now displayed on the right margin of the List Box. This time, the values are sorted in Descending order based on the frequency in which they appear. I hope you found this post informative. Please add any feedback or questions to the Comments section below. Enjoy!